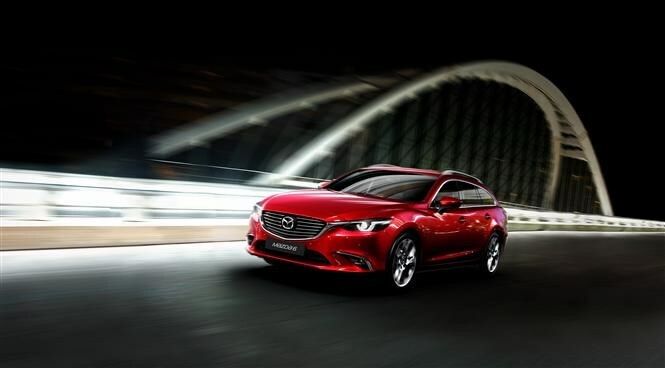 Mazda has revised its popular range of large saloons and estates, the Mazda 6 and 6 Tourer, for the 2015 model year. The moderate front end redesign has coincided with the introduction of new engines and comfort and safety features, in addition to major development work being carried out on the suspension, soundproofing and interior styling. Prices have been increased ever-so-slightly and now start from £19,795 for the saloon SE, while the Tourer Sport Nav will set you back £28,795. Extra power ratings on the 2-litre petrol and 2.2-litre diesel units mean there now 16 engine choices on the saloon and 12 on the Tourer. “Mazda's SkyActib technologies and 'Kodo' design language already offer a unique combination of striking design, lively performance and highly competitive running costs,” said Mazda UK Sales Director, Peter Allibon. 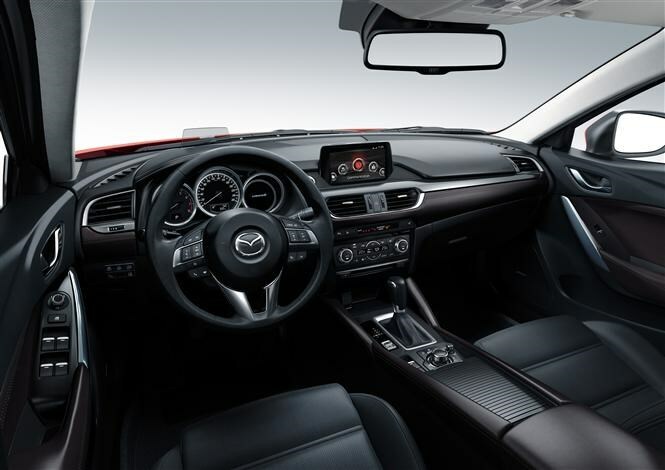 The 2015 Mazda6 is available with the same five trim levels as the current generation; the SE, SE Nav, SE-L, SE-L Nav and Sport Nav. The SE and SE-L models now include an electronic parking brake, coming home and leaving home lights, multimedia commander with separate volume dial and front seat height adjustments. The most attractive new feature though is the seven-inch touchscreen infotainment system, with DAB radio, Bluetooth, USB and iPod connectivity. The no-expense-spared Sport Nav also models benefit from a new grille and wing design, LED headlamps and 19-inch alloy wheels. A new head-up display processes real-time driving data into the driver’s forward field of view and the new Integrated Navigation system offers greater accuracy than the old model. 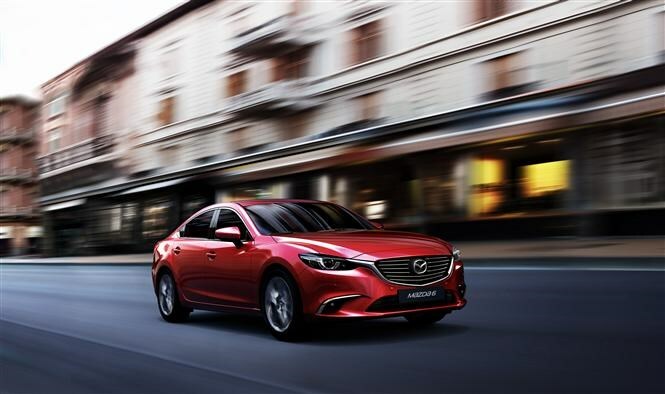 Thankfully, we’re moving towards an ever more safety conscious world and this is certainly the case with the new Mazda6. Adaptive LED Headlamps are now standard on the Sport Nav models, as is the Lane-keep Assist System and Lane Departure Warning system. New safety systems also include the Advanced Blind-Sport Monitoring system and Rear Smart City Brake Support. 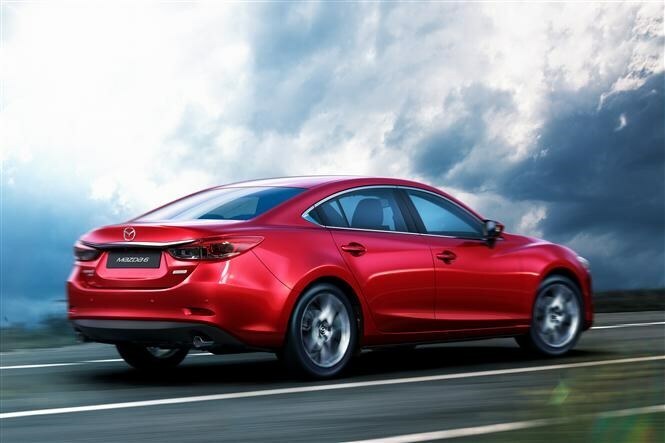 The Mazda 6 may be a couple of years old already, but the new packages Mazda has included make good financial sense, especially on the higher spec models. We take it for a test drive in February, with the first models hitting UK dealerships in late spring 2015.